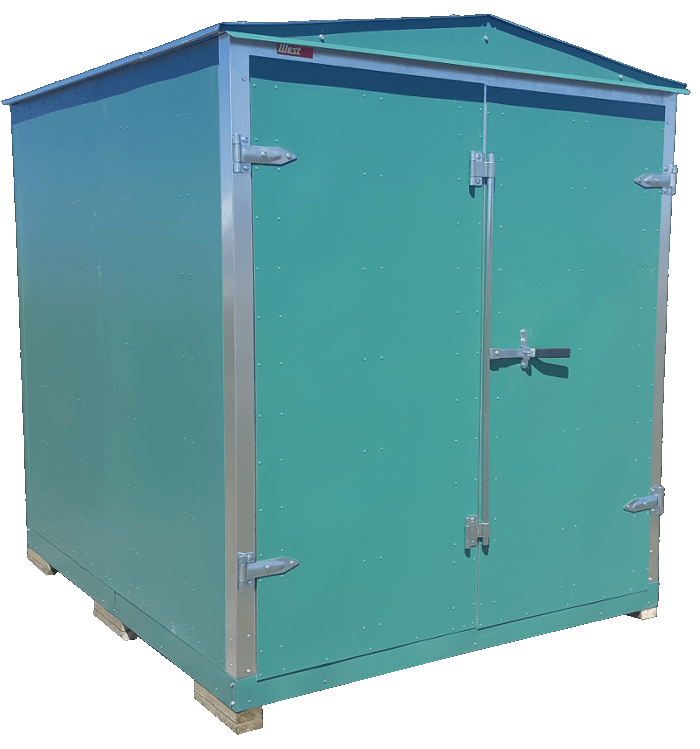 We are proud to be a dealer for Western Steel Storage Containers! 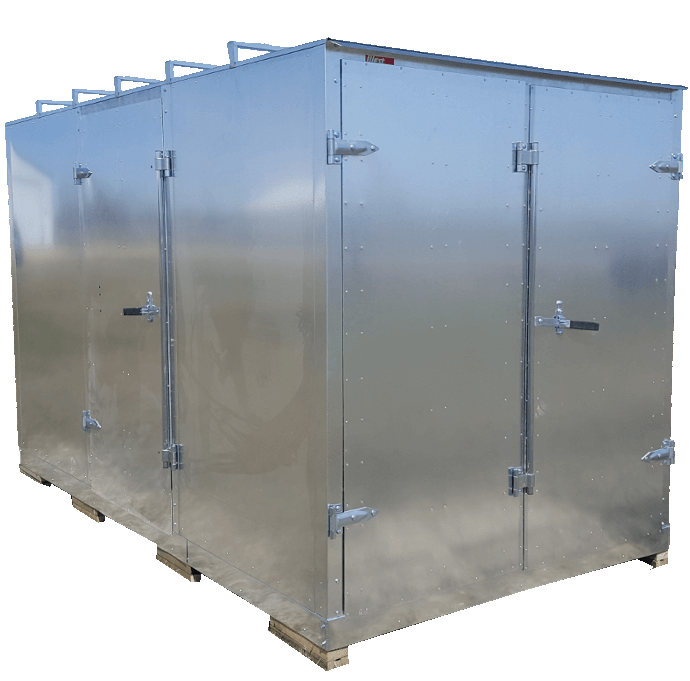 Western Steel containers are constructed using corrosion resistant galvanized steel which provides for a long, maintenance-free life. Containers are portable, collapsible, expandable, and affordable! 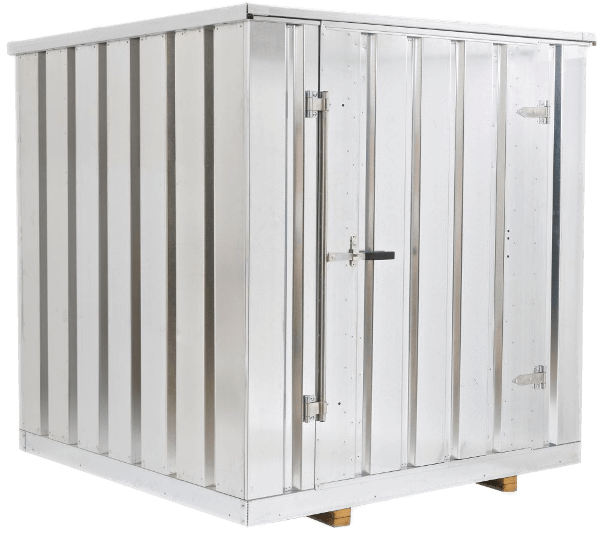 Keep your tools, machinery, motorcycles, and personal items protected with a steel storage container. Dimensions listed are outside dimensions. All prices are for containers in kit form F.O.B. Devils Lake, North Dakota and do NOT include ND state sales tax of 5%. Containers can be shipped anywhere in the continental US via truck freight. Option 1: We can ship to a freight terminal in major US cities where the containers can be loaded in your pickup truck or on your trailer. 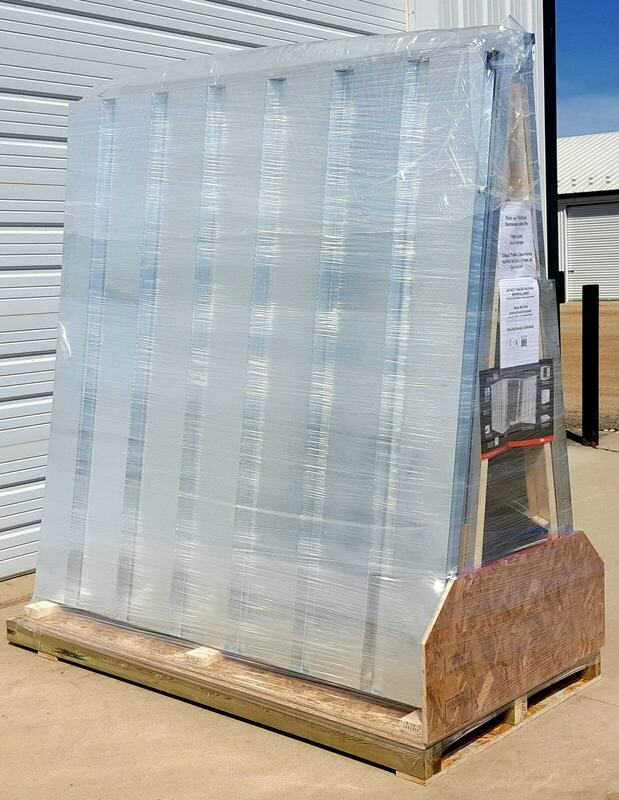 Option 2: We can ship directly to a business address that either has a loading dock or a forklift for unloading. 1.5 and Double size sheds can be made portable if they are fitted with a heavy duty base kit. 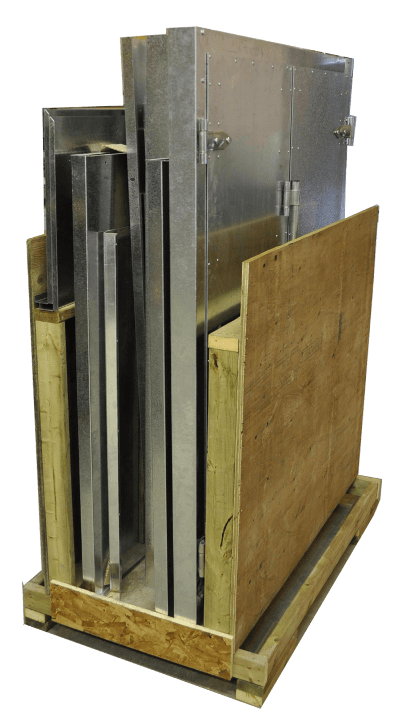 The base kit consists of (5) pcs of a pressure treated lumber. The lumber must be purchased locally. front double doors with 68” wide x 74” high opening are standard. Forest Green, Surf White, Wicker, Charcoal, Coffee Brown, and Polar White.